Arc'teryx designs for use in true alpine conditions. Exceptionally versatile, hardwearing and warm, the Thorium AR Hoody performs as a cold weather midlayer and as a standalone. The ThoriumÍs regular fit is streamlined and layers easily under a hardshell in cold conditions. 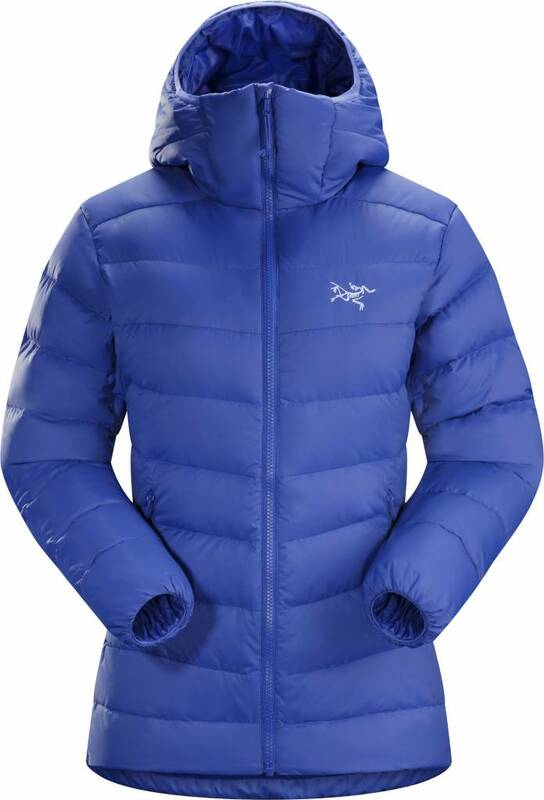 Lofty 750 fill European grey goose down gives incredible warmth for little weight, is durably resilient, and packs easily. The outer is updated with durable and subtly textured Arato» 30 nylon. This lightweight material withstands abrasion, packs compactly and has a DWR finish to repel moisture. 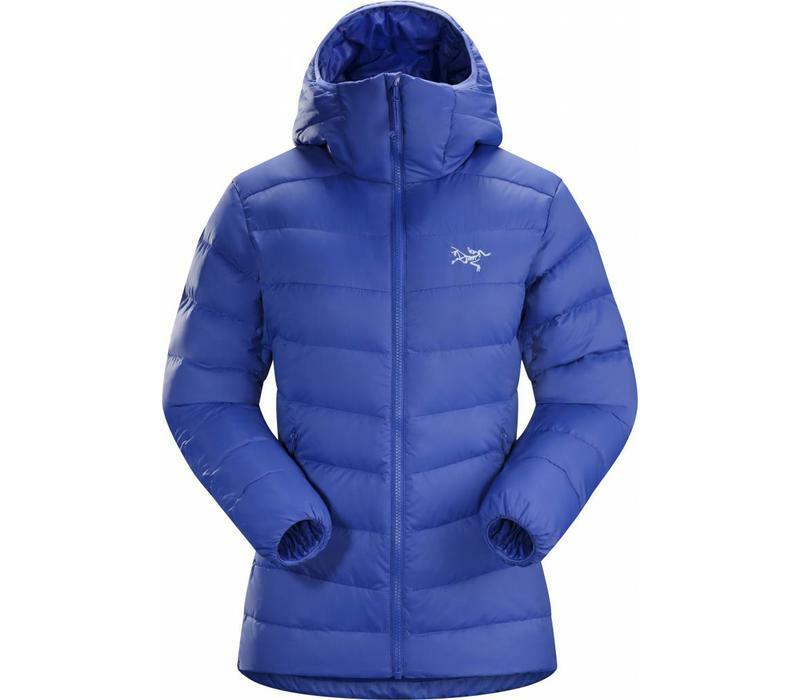 ArcÍteryx Down Composite Mapping technology combines the goose down insulation with panels of Coreloft» synthetic insulation in the hood, cuffs and under the arms, areas prone to moisture. Down is used in the sleeves and around the bodyÍs core. The Thorium is equipped with a synthetically insulated Stormhood», two zippered pockets secure small essentials and updated to include an internal zipper pocket with a stuff sack. Redesign updates the face fabric to the durable and subtly textured Arato» 30 and concealed zippered hand pockets. •Coreloft» 80 (80 g/m_) insulation. Made with highly crimped multi-denier siliconized polyester yarn, this lightweight, breathable, and thermally efficient, 100% polyester staple fibre is very compressible and has excellent loft retention. •Coreloft» 140 (140 g/m_) insulation. Made with highly crimped multi-denier siliconized polyester yarn, this lightweight, breathable, and thermally efficient, 100% polyester staple fibre is very compressible and has excellent loft retention.